Home » Summer Motoring » When is a Vehicle Beyond Repair? When is a Vehicle Beyond Repair? Whether you’ve been involved in an accident or your vehicle has suffered a major fault, hearing that your car may be beyond repair is never easy. Here at Collison Motoring Services, we provide a long list of repair, maintenance and servicing options for customers with vehicles of all makes and models, and cars in varying conditions. We use our experience and expertise along with the latest tools, techniques and technologies to bring damaged, unkempt and tired vehicles back from the brink but how do you know when your vehicle is beyond repair? We’ve all heard of the term ‘write-off’. 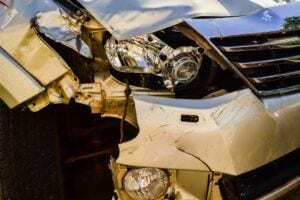 More commonly associated with insurance claims, a vehicle can be written off for a number of reasons and insurance companies use strict guidelines to determine a vehicle’s status. The criteria for insurance write-offs was recently revised. As of 1st October 2017, the previously utilised A, B, C and D categories were changed to A, B, S and N. Each category relates to the damage that a vehicle has suffered, whilst the cost of repair and the effect on safety is also considered when determining whether a vehicle should be written off. The same criteria can be used to decipher whether a car is beyond repair. In this blog post, we take a closer look at the new write-off categories, as well as discover what it means if your vehicle is written-off. Ranking the severity of damage your vehicle has suffered as a result of a road traffic accident isn’t easy. There are a variety of factors that must be considered to ensure the safety of you, your future passengers, and the pedestrians and road users around is upheld to the highest standard. Category A remains unchanged since the 2017 reform. Cars that fall into category A are so badly damaged that they can never be permitted for use on the roads again. These cars are destined for the scrap yard and even its parts cannot be salvaged and resold. Category B was also unchanged by the reform. Cars in this category have also suffered severe damage but some parts may be salvaged and resold. Whilst you’ll never see the shell of a category B vehicle on the road again, its parts could be reclaimed to make other vehicles roadworthy. Formerly known as category C, the new category S relates to vehicles that have suffered structural damage. Vehicles classed as category S aren’t beyond repair but will need professional attention to be made roadworthy once more. Category N (formerly D) is reserved for vehicles that have just sustained fixable cosmetic or electrical damage. Whilst there is more of a possibility that category N vehicles will be safe to drive again, these non-structural faults may be too expensive to repair with owners often choosing to scrap the vehicle to keep things economical. What’s next for my written off vehicle? If your vehicle has been written off or is deemed beyond repair, the category given to it will determine its fate. As detailed above, category A and B vehicles will be nothing more than scrap, with a possibility of salvaged parts for category B cars. Owners of category A, B and S write-offs must notify the DVLA. Category N vehicles do not need to be reported. Category N and S cars can still be resold at a lower cost to ensure their owners make more than just their vehicle’s scrap value. Car buyers must exercise caution when purchasing written off vehicles however. Your insurance premium is likely to be much higher if the vehicle has been written off. There have also been many cases where category S and N vehicles have been resold as non-damaged cars. If you are buying a second hand car, be sure to conduct a vehicle history check to confirm its status. You may be paying over the odds for a written off vehicle.